One would be hard-pressed to find a more appropriate name for the snowy expanse of Siberian tundra hugged by the Arctic waters of the Kara Sea. The Nenets word for their homeland – Yamal – means exactly that: “ya” refers to ‘world,’ while “mal” is the term for edge. Considering their population of almost 45 thousand, the Nenets cover a vast territory on the map. The Samoyedic people from which Nenets have descended originated in Southern Siberia. 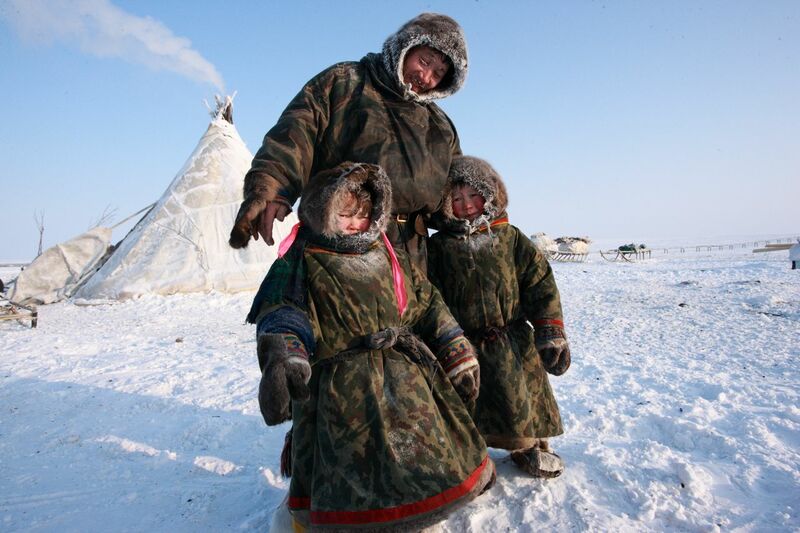 They traveled north before the 12th century, inhabiting what is now the Yamalo-Nenets region. What looks like empty, barren land is in fact crisscrossed by ancient routes and dotted with the camps. 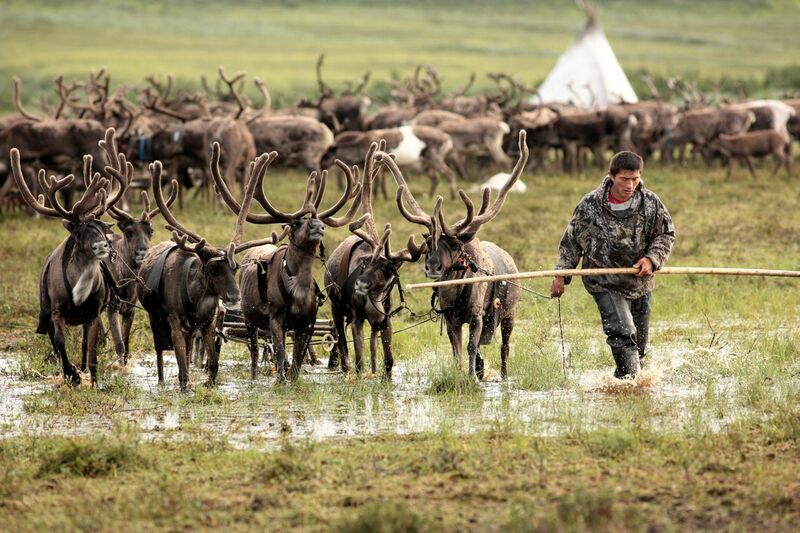 For centuries, Nenets have herded reindeer along these paths, stopping to set up their nomadic home, called a chum or mya depending on the dialect. The pulse of this life is determined by the deer, to which they owe their clothes, their lassos, and their homes. 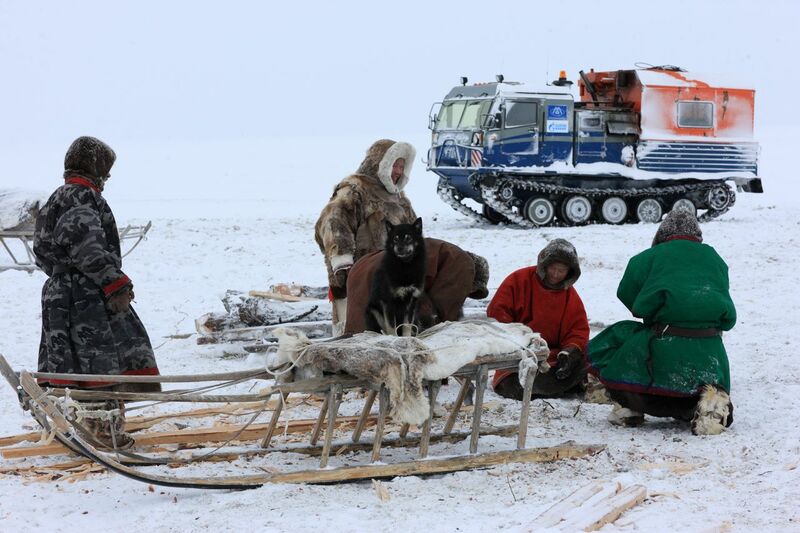 Nenets are always ready to relocate at a moment's notice. The man chooses the location of the home, but the chum itself is built by a woman – without a single nail. First, the location for a fire is chosen, then a wooden floor is built around it. Mats of willow twigs and hay become a bed. Then come the poles and the niuks: reindeer skins in the winter, tarpaulin or birch bark in the summer, stretched over the frame. At this point, the chum becomes a real home, ready to provide hot tea and shelter from the winds. 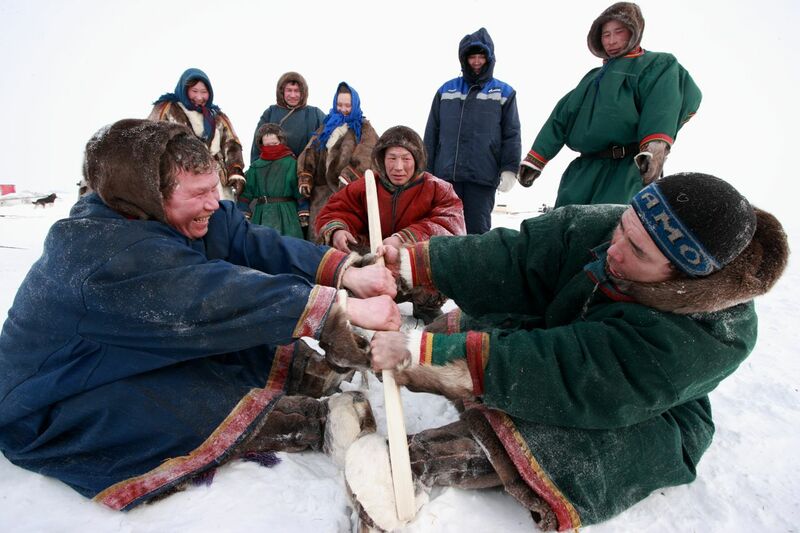 No matter whether they are tundra or forest Nenets - two groups with significantly different dialects – their traditional lifestyle is sustained by hunting, fishing, and herding. More than 10,000 Nenets herd about 300,000 reindeer on the Yamal Peninsula, which makes up a good portion of the Yamal-Nenets region where most Nenets live. This land of severe cold, as much as 50 below zero Celsius in winter months, is simply a part of life. 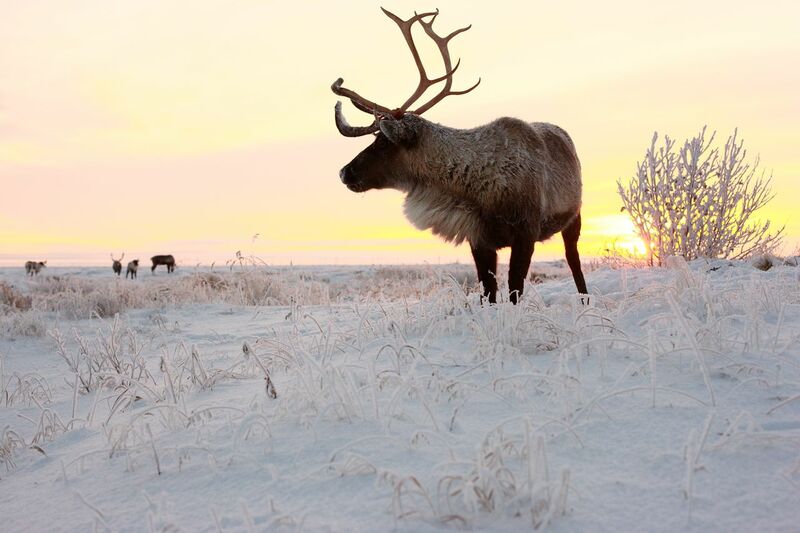 The Nenets migration patterns depend on the seasons and the sustainability of the pastures for the reindeer they care for. Just to the south of the Arctic Circle in the winter, Nenets move the herds northward in the spring before the thaw comes. They spend their short summer in the northern tundra and return south in the fall, completing a migration of 1100km, which includes crossing the frozen Ob River. The reindeer pull the sleighs loaded with everything needed for the camp. 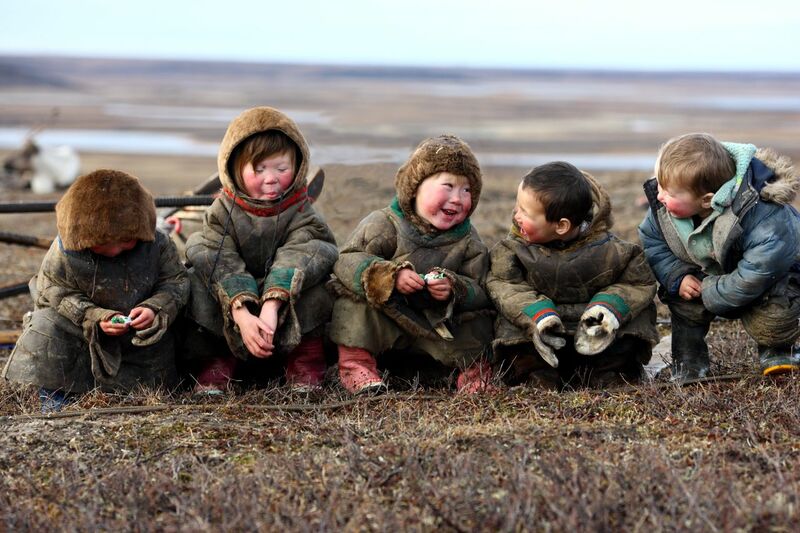 With their rich oral history, the Nenets culture is rooted in shamanism, connecting the people to their environment through their belief in the spirits that inhabit plants and animals. Many a tradition is tied to sacrifices and rituals, taking place at specific life events — birth, marriage, deaths. Legends and songs keep the ancient Nenets ancestral knowledge alive. The music often uses no instruments besides the shamans' drums. Though still practiced, shamanism is losing its old members who practice it. Nenets deities are represented by dolls carried on sacred sledges. 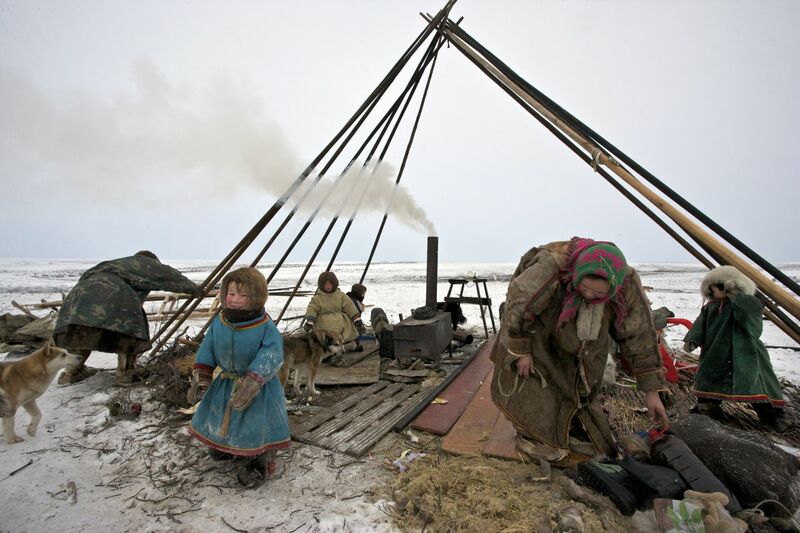 In the Yamal tundra, there are holy sites in the far north where the dolls are sometimes exchanged. 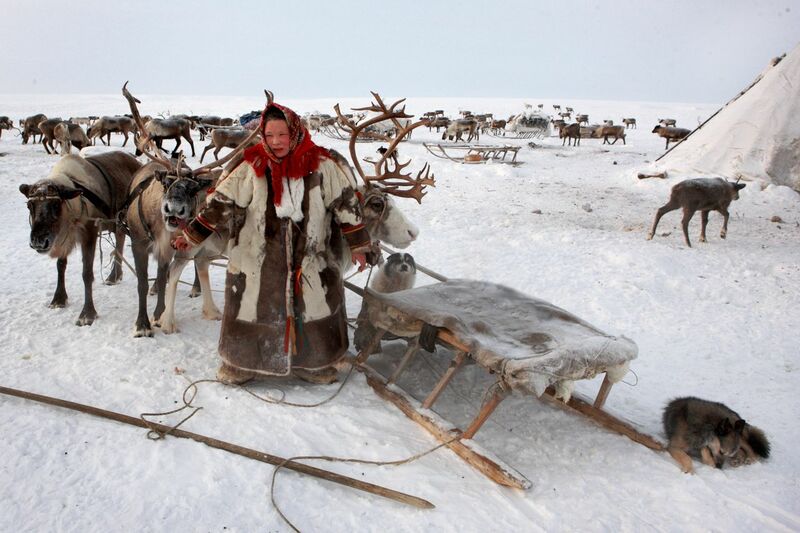 Throughout their people's history, Nenets have struggled to maintain their way of life. Russian Revolution, forced relocation, boarding schools, and Stalin's decree to pay reindeer meat as taxes created hardships during Soviet times. Recently, the Yamal Peninsula has seen large-scale pipeline developments as a strategic oil- and gas bearing region of Russia. The battle for resources coupled with the shortening winter season due to climate change both affect the ancient reindeer routes. 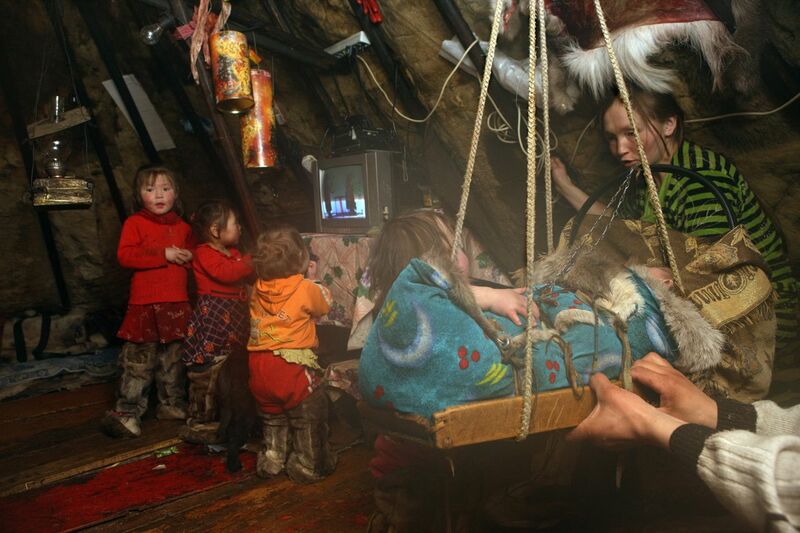 Larger cities continue to lure young Nenets to a different lifestyle, with different professions. These changes threaten the Nenets nomadic existence. 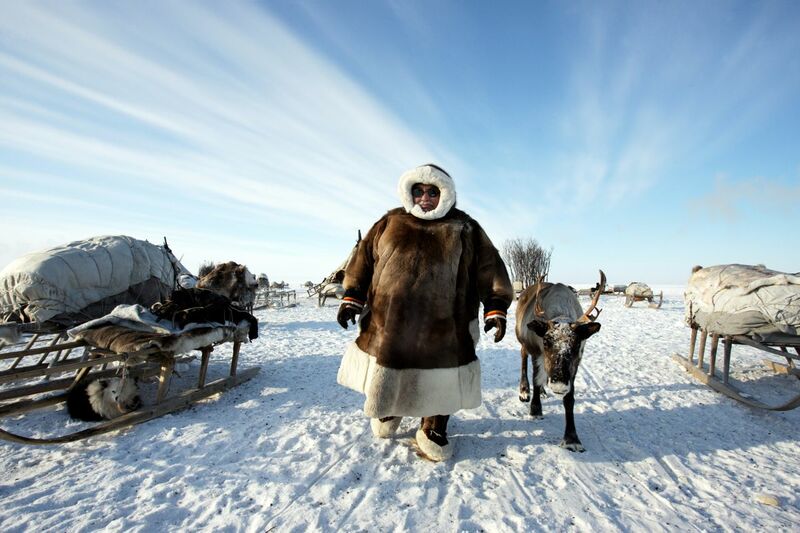 In spite of it all, the Nenets continue to preserve their culture. Blending sacred traditions with modern conveniences, they are determined to survive through whatever may come.